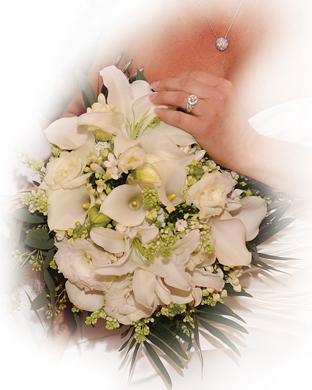 – a special relationship is instantly formed when a gift of jewelry is given. 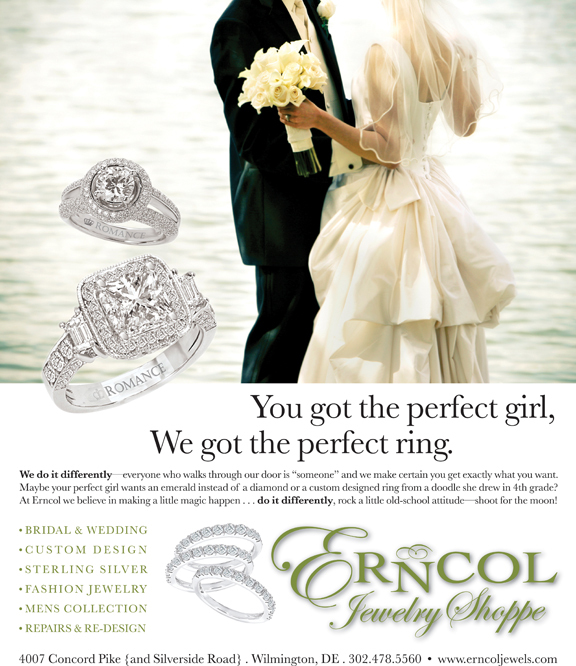 Erncol Jewelry Shoppe has been creating those exact special relationships at 4007 Concord Pike, for over 20 years now. 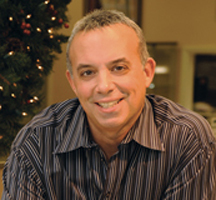 Owner, Ern Angiolillo didn’t necessarily grow up dreaming of one day selling diamonds, but he did watch his parents—John and Phyllis Angiolillo, Erncol’s original proprietors, create hundreds of “special relationships.” Many of those relationships are still loyal clients to this day. Styles and spending habits have changed over time but the way Erncol does business is exactly the same. Every independent jeweler has great customer service, it’s as necessary as having diamond studs in their showcase, other’s claim to have the lowest prices and the highest quality. So when it comes to precious metal and gem stones, how does Erncol do it differently? “It’s almost impossible to set yourself apart in this business, we all have diamond rings, gold bracelets and sapphire pendants to sell, I know that my customer service is top notch, but really I think it’s our custom design, repair and re-fashioning that sets Erncol a part. much of what you see at Erncol is completely unique and won’t be elsewhere. and that’s what it takes to survive these days. Angiolillo says that future plans include further developing and marketing the website www.erncoljewels.com, holding in-store jewelry re-fashioning events and expanding the existing Bridal collection to include a Petite platinum line from the much-loved Romance brand. open Tuesday through Saturday, 10am until 5pm with evening hours upon request. 302.478.5560. Next Story → New at Lady’s Image In 2011!